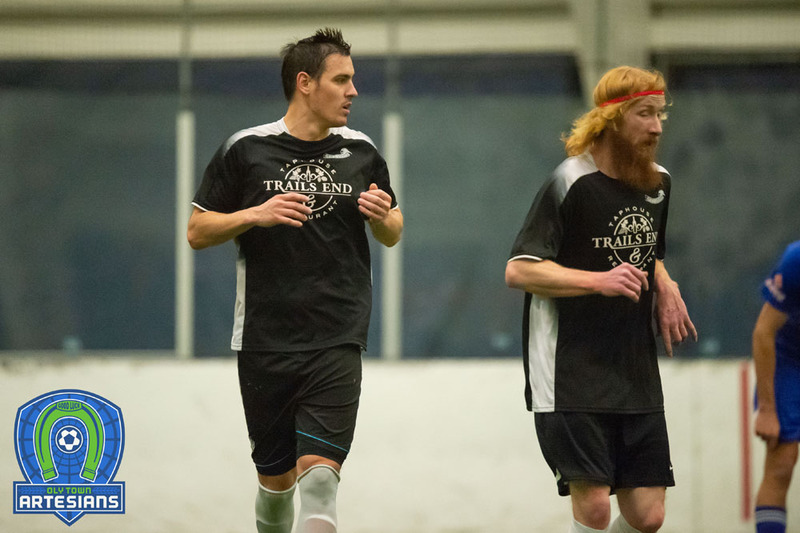 TUMWATER, Wash. – The Oly Town Artesians jumped out to a quick 5-0 lead in the first quarter and despite a one man fourth quarter comeback attempt, held on to knock off the Arlington Aviators 9-7 in the regular season finale at Olympia Indoor Soccer. 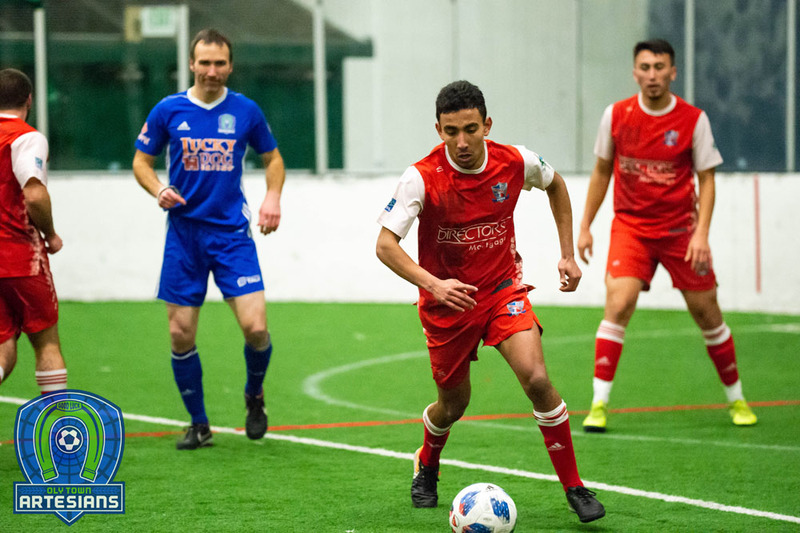 Issa Hassan, William Ramirez, Sebastian Lyons and JC Henson each scored two goals and the Artesians finished their inaugural regular season on a high note with a playoff game against the #1 seed Tacoma Stars on the horizon. William Ramirez got the Oly faithful on their feet early with a goal at the 12:27 mark of the first quarter. Over the next minute and a half, Sebastian Lyons and JC Henson each added a goal to give the Artesians a 3-0 lead before five minutes had elapsed in the game. Five minutes later, Nate Boatright added a goal to go up 4-0 and Issa Hassan closed out the scoring in the first quarter with 2:45 left and the the first 15 minutes came to a close with the Artesians up 5-0. The Aviators tightened up and held the Artesians scoreless in the second quarter and Winfred Smith’s goal with 10 minutes left in the third quarter got the Aviators to within two goals at 6-4. But Henson answered a minute later to give the Artesians a 7-4 lead and Lyons scored his second goal of the game with 6:55 left in the third to build an 8-4 lead. Aaron Burns did everything he possibly could do in the fourth quarter to get the Aviators back in the game. He opened the scoring with a power play goal at the 12:58 mark to get them to a three goal deficit at 8-5. Ramirez added an insurance goal for the Artesians with nine minutes left before Burns scored goals with 1:17 and 53 seconds left. But Burns and the Aviators ran out of time and fell to 0-8-0 this season with a 9-7 loss. Nate Salveson made his first start of the season in goal and made numerous outstanding saves to pick up the win. 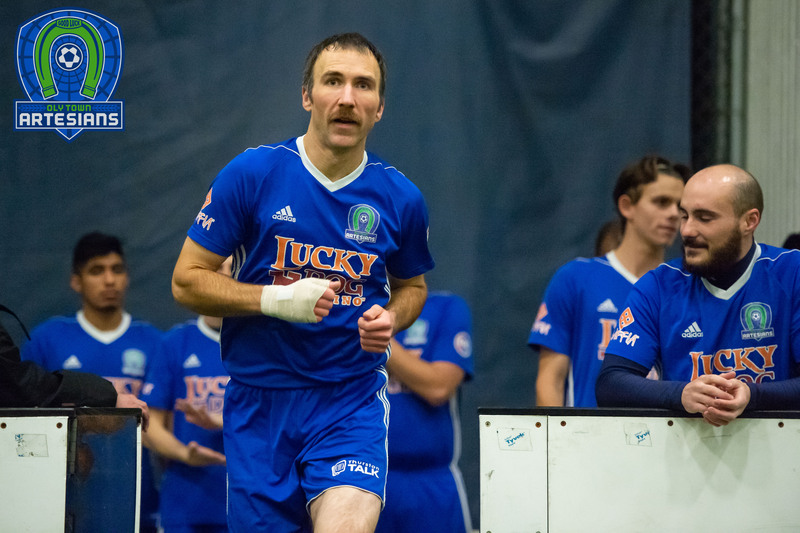 The Artesians’ Technical Director and Head Coach and former Milwaukee Wave goalkeeper had played the entire season in the field but returned to goal tonight and will likely be between the pipes when the Artesians travel to Tacoma to take on That Team From Up North in the Western Indoor Soccer League playoffs next Saturday night. 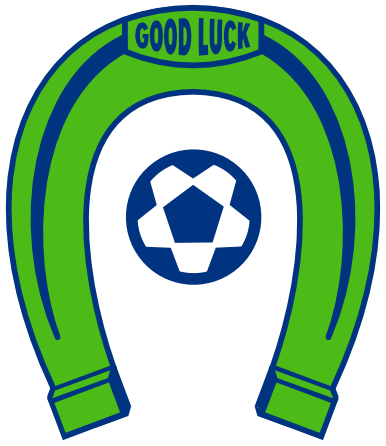 The WISL playoffs kick off on Saturday, February 7th. The Artesians clinched the #4 seed last weekend and will take on the #1 seed Tacoma at 7:30 PM at the Tacoma Soccer Center. The winner will take on the winner of the #2 Bellingham/#3 Wenatchee game in the WISL Championship on February 14th or 15th. For ticket information for the WISL Playoffs and for more news and information, follow the Artesians on Twitter (@OlyTownFC), Facebook (Facebook.com/OlyTownFC) and Snapchat (username: OlyTownFC) or visit their website at http://www.olytownfc.com.